These don’t come up very often… in fact, I’ve never seen one for sale before. 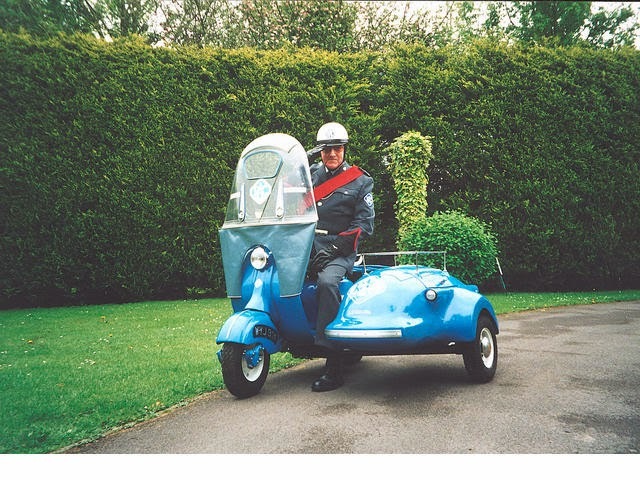 I’ve seen pics of the RAC Lambretta’s of course, but here’s your chance to own one. 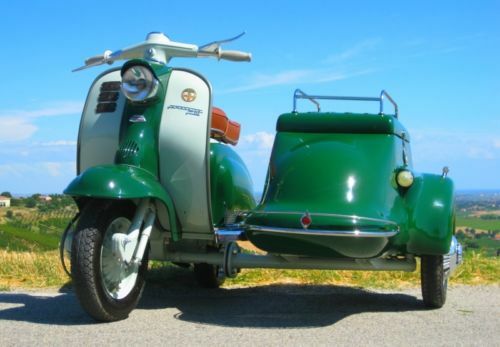 It’s been completely restored, by no-one less than the famous Rimini Lambretta Centre, who have done their usual fantastic restoration job, and, to give it a bit more oomph, stuck a Innocenti TV225 engine under the panels. You also get the original 150 engine as part of the deal. The full spec is available on the eBay listing, here, but this is a real head turner, as well as being eminently practical scooter if you want to lug more than a tent and a sleeping bag with you to the next scooter rally, without going to the extremes of a full caravan conversion. 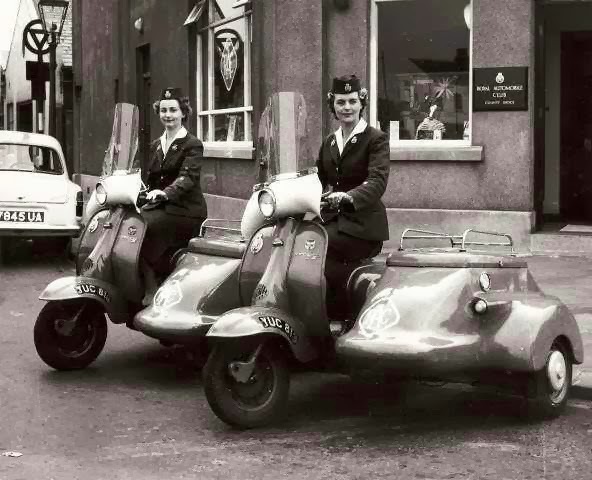 Below are a couple of pics I found on the Red Devil motors blog, which also notes the eBay listing… The RAC obviously used a Lambretta combination outfit for a while, as the images show a couple of LD’s, and a Series 2. The eBay link again: Here. 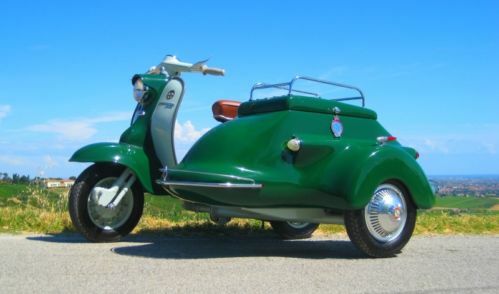 This entry was posted in Commercials / 3 Wheelers, For Sale, Restoration and tagged eBay, For Sale, RAC, Rimini Lambretta Centre, Series 1 by crocodilejock. Bookmark the permalink. 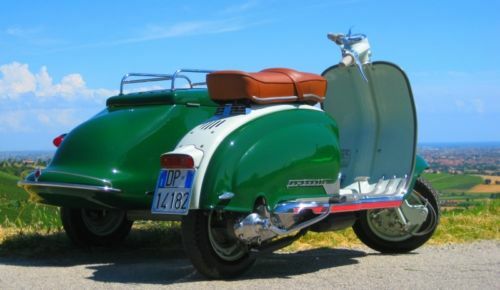 Lovely Lambretta Series One and Watsonian Commercial Sidecar for sale.